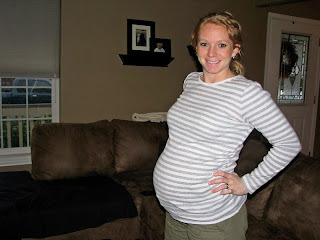 Sommer's Fit Pregnancy Journey: 39 long weeks and all worth it! Hi there! You don't know me, but I've been following your blog for a while now after gaining 53lbs with my daughter and struggling to lose the weight (it came off after a looong and very hard 10 months). I wanted to say congratulations on the new baby and staying so fit throughout the pregnancy! You have given me hope that I won't gain a third of a person the next time around :-).